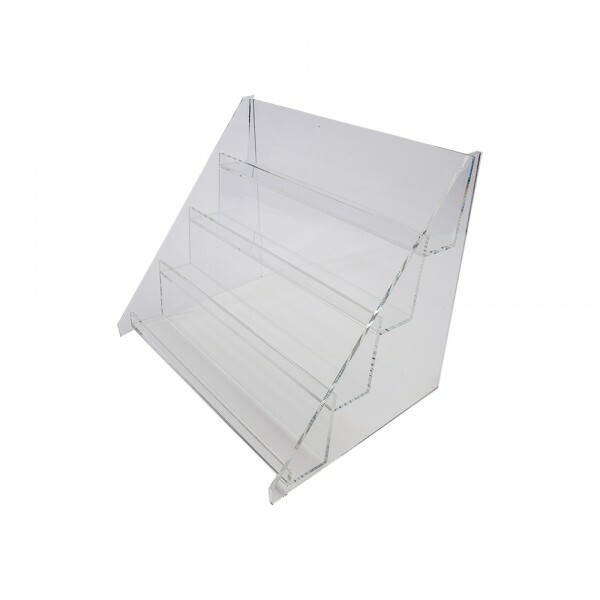 A clear acrylic countertop 4 tier shelf display is perfect for small items at the POP. 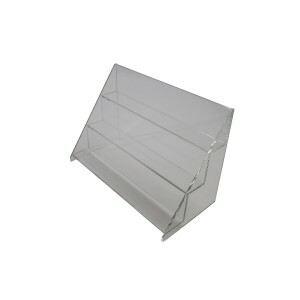 Each tiers is 1-7/8"d x 3/4" lip and has a front lip to keep your displayed products securely held in place. The tiered design allows you to more easily organize the items on display. 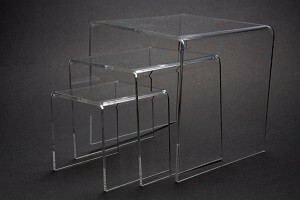 A clear acrylic 4 tier shelf display. This piece is perfect for small items at the pop. Shelf tiers are 1 7/8" x 3/4". 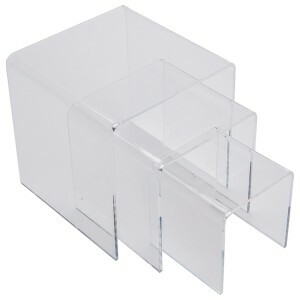 Counter Display 3 Tier 2" x 3"